A large collection of city puzzles in 1 box. 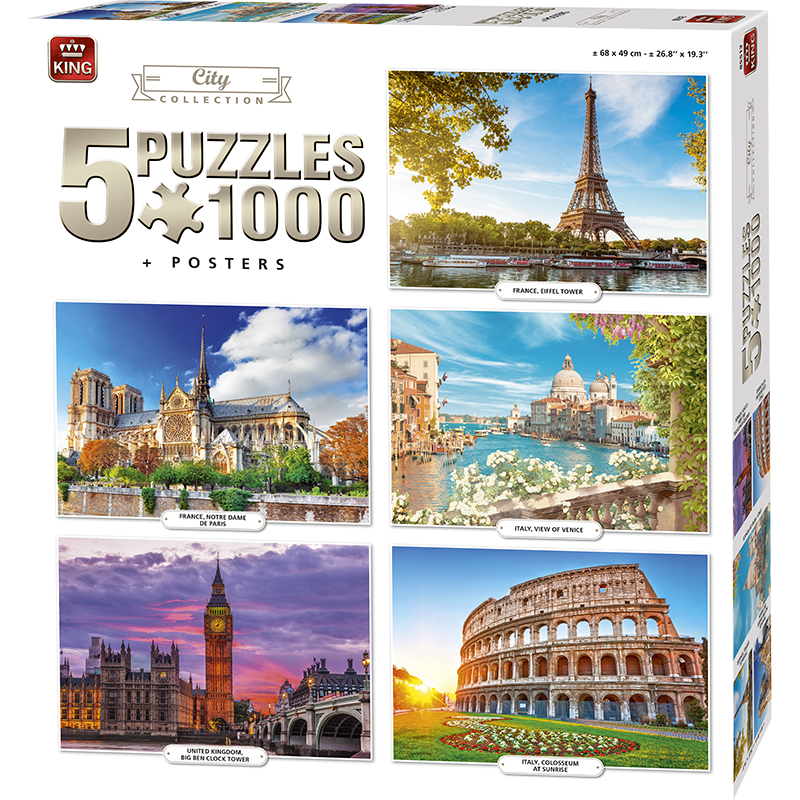 You will find 5 different 1000 pieces puzzles with the Eiffel Tower, Venice, Notre Dame, Big Ben and the Colosseum. A long time of puzzling fun for the puzzle enthusasiast.